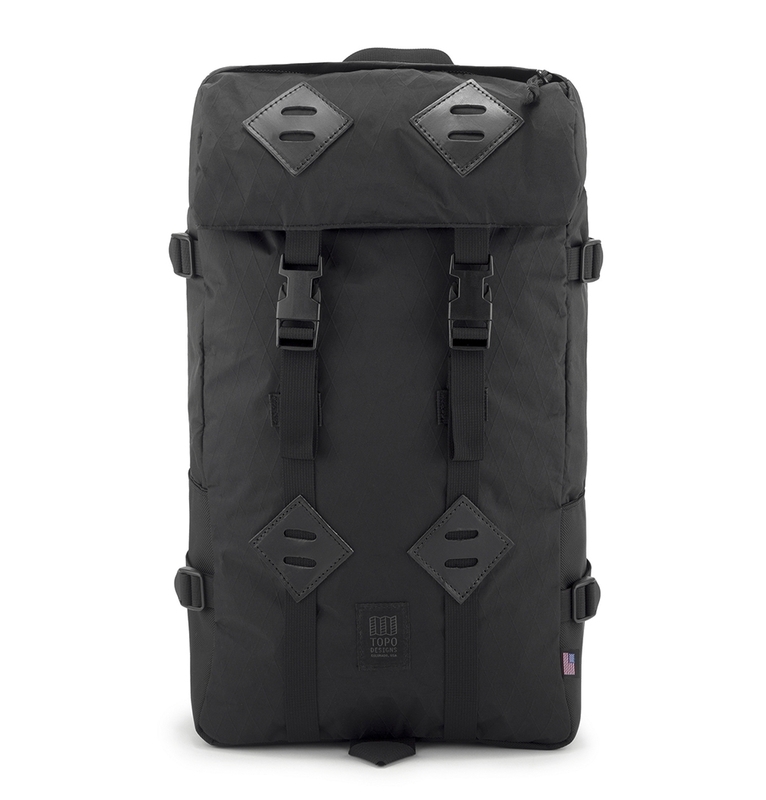 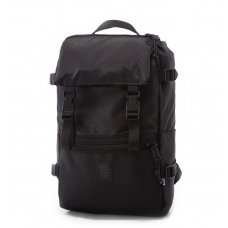 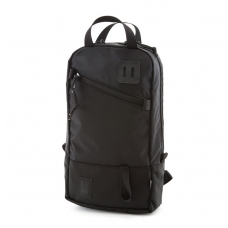 TOPO DESIGNS KLETTERSACK 22L X-PAC BLACK/BALLISTIC BLACK, ideal backpack for hiking, travelling and camping. 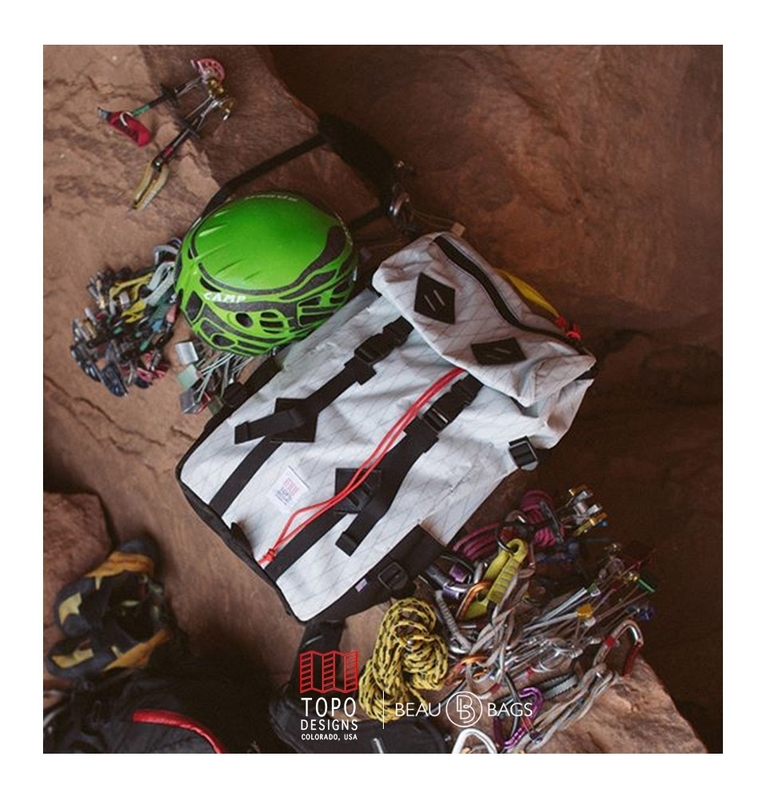 Topo's classic Klettersack, made even better. 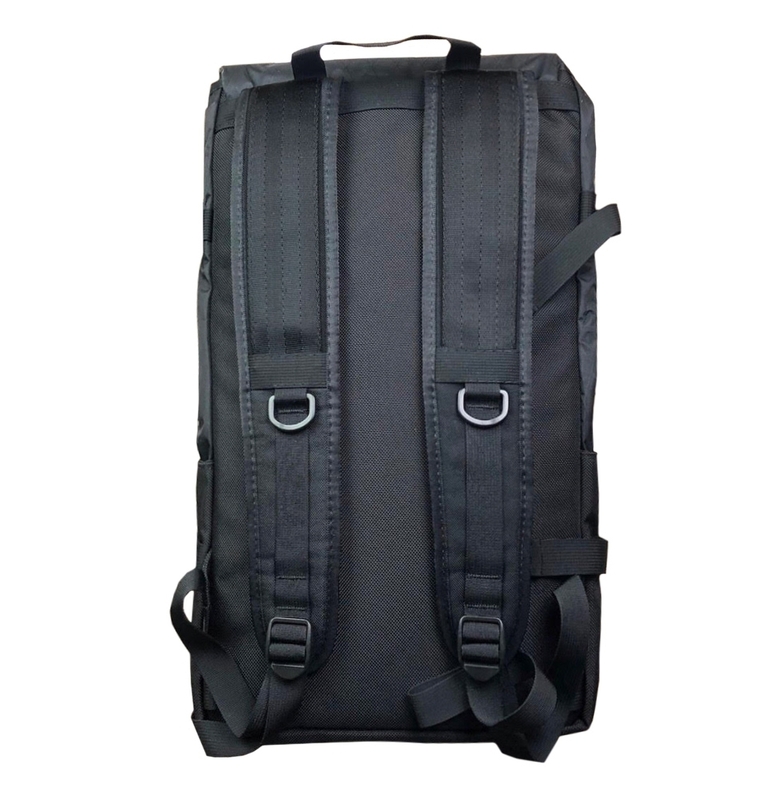 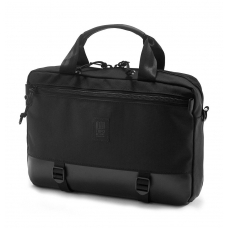 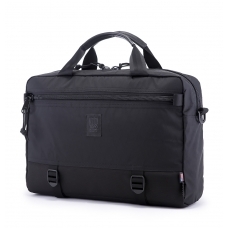 An ideal travel companion, workmate or pack mule for even the wettest of environments. 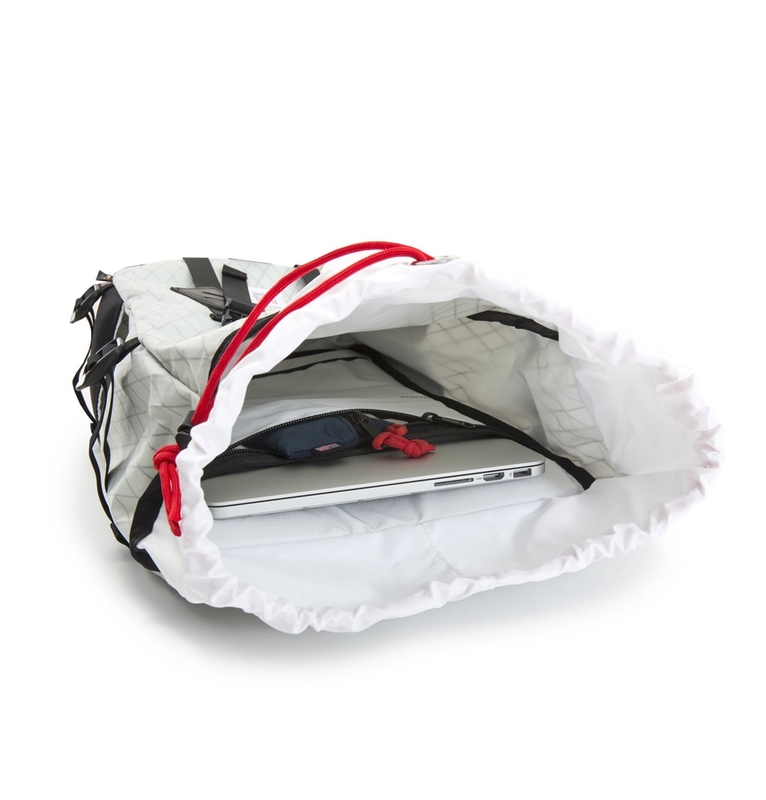 The X-Pac™ material boasts multiple layers, laminated together over a waterproof membrane. 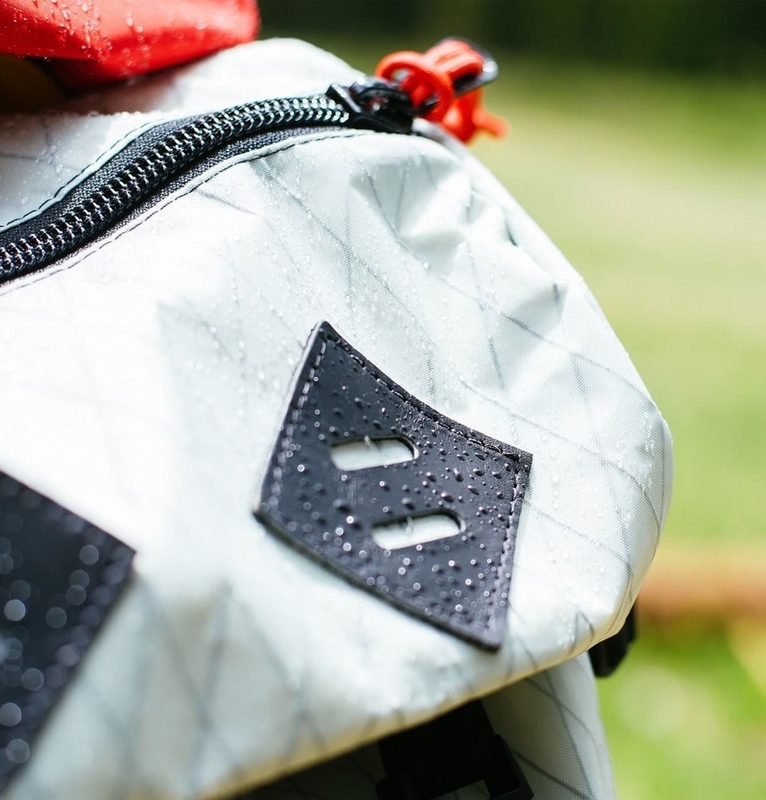 The X-Ply™ (diamond pattern) provides additional strength across the bias, traditionally the weakest part of the pack. 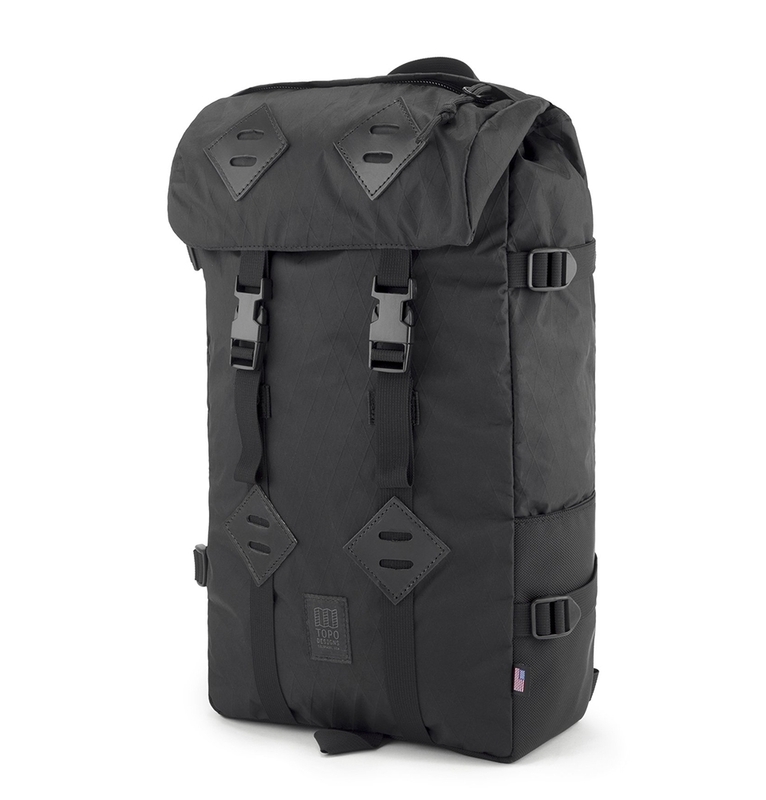 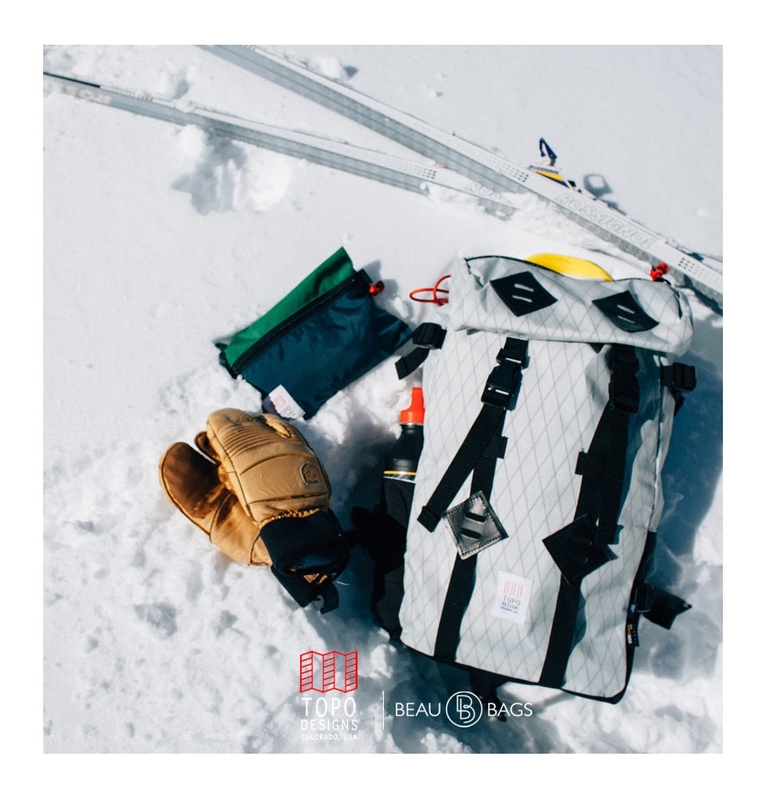 Topo Designs partnered this X-Pac material with Ballistic 1050D Cordura® to finish the exterior and use a coated pack cloth for an entirely lined inner compartment. The Topo Designs X-Pac Klettersack has 22-litre capacity, two zippers in the top compartment and side pockets for water bottles or extra equipment. 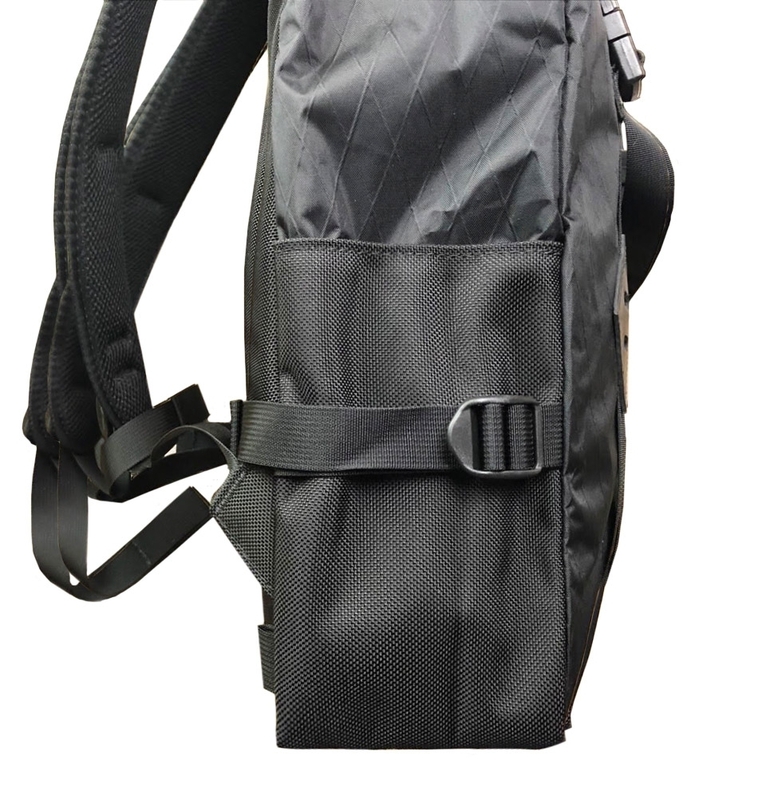 The natural leather lash tabs are perfect for securing extra gear or attaching a bike light. 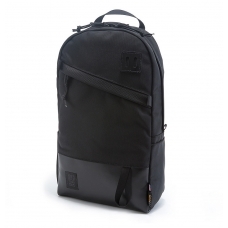 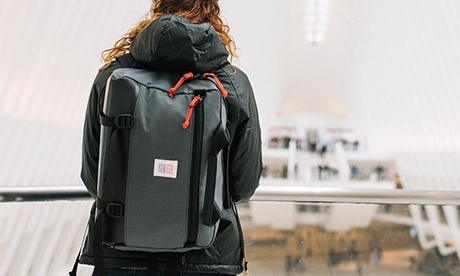 All this makes sure you will enjoy using this timeless backpack. 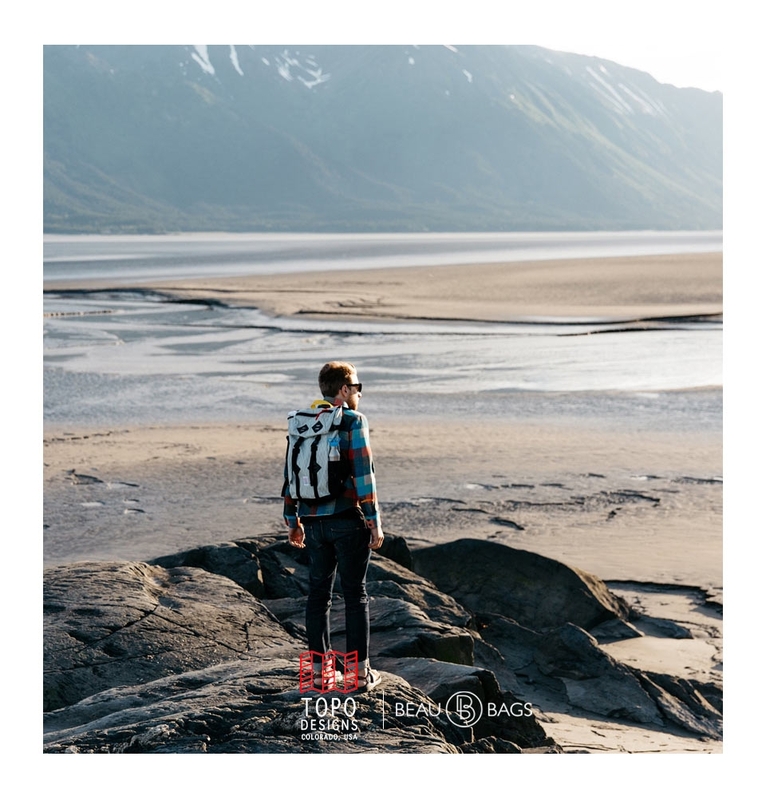 Topo Designs Klettersacks are available in various colors, such as Navy, Olive, and Charcoal. 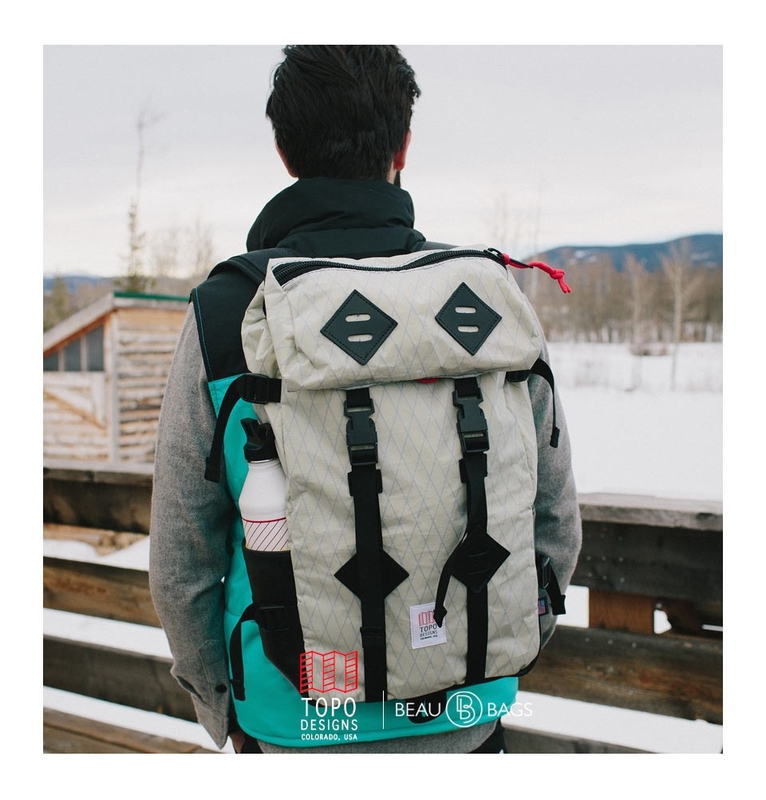 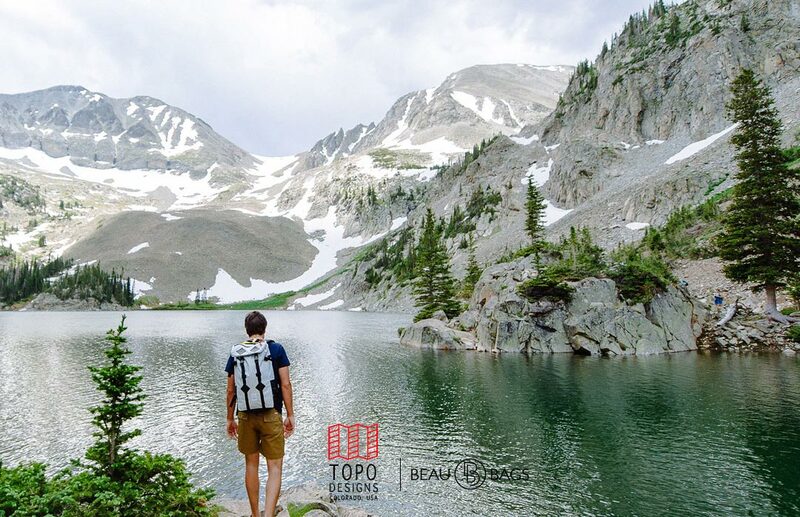 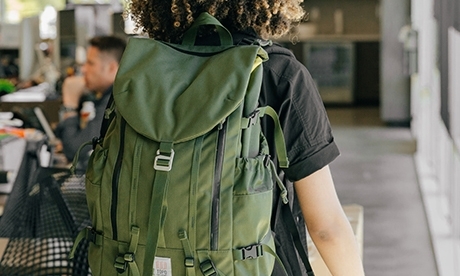 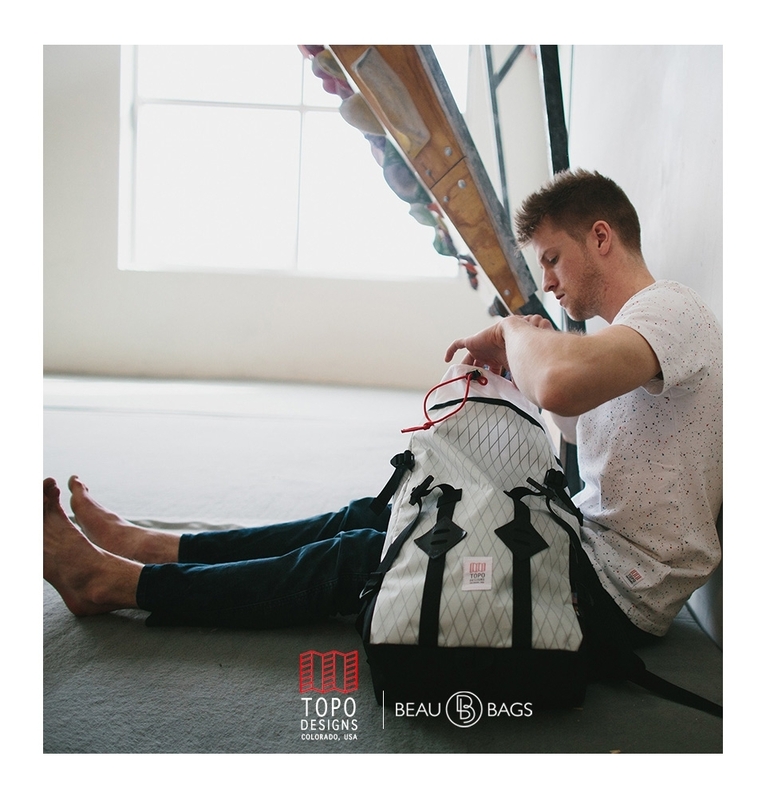 Topo Designs Klettersack Backpack is one of the many bags of Topo Designs in our large and carefully selected collection. 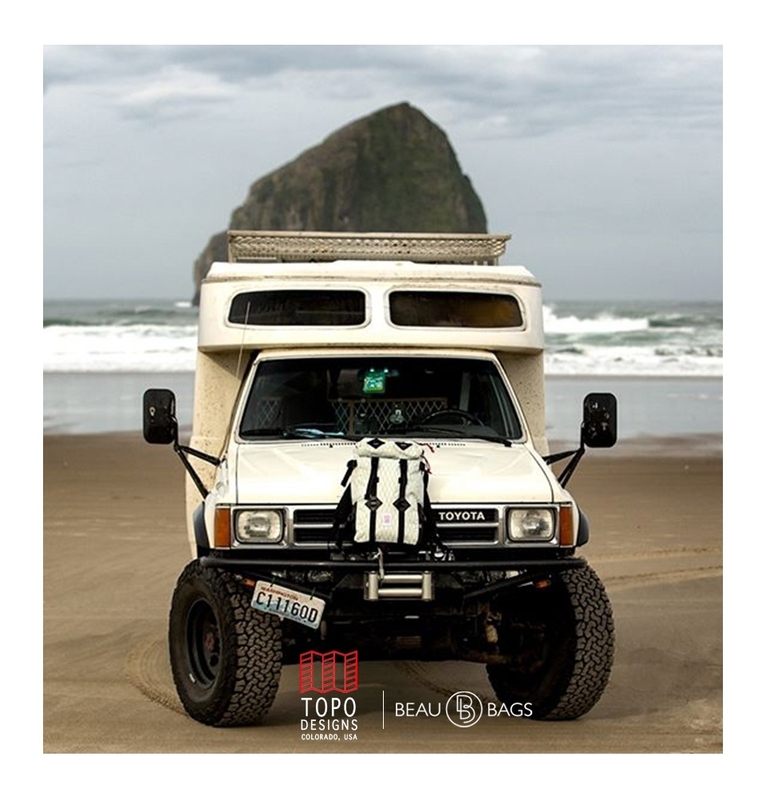 Please check out the complete collection of Topo Designs in our online shop.